Bridgnorth Tae Kwon-Do is run by a young family who are Bridgnorth born and bred! The Principal Instructor, Gary Plant, is a 4th Degree Black Belt who started martial arts at the age of 10. Bridgnorth Tae Kwon-Do has passed an enhanced level CRB (Criminal Records Bureau) check. We hold Instructors Liability and Public Indemnity Insurance certification and are HSE (Health and Safety Executive) first aid qualified. Tae Kwon-Do is a Korean martial art and is equally suitable for men, women and children (aged 5 and over). Why not contact us today to start your free trial? Classes are held on Mondays and Thursdays, 7-8 pm. There is no contract and students can choose to pay monthly or per session. The minimum age is 5 years, but there is no maximum. Tae Kwon-Do is ideal for adults and children alike. We have an all-abilities class with a welcoming atmosphere. Would you like more information on hours, classes and programs available at Bridgnorth Tae Kwon-Do? Please contact the school with your questions. Update the details, Write a Review or Report Error of Bridgnorth Tae Kwon-Do. This Chart shows the Martial Arts Styles offered most in Bridgnorth, UK area. 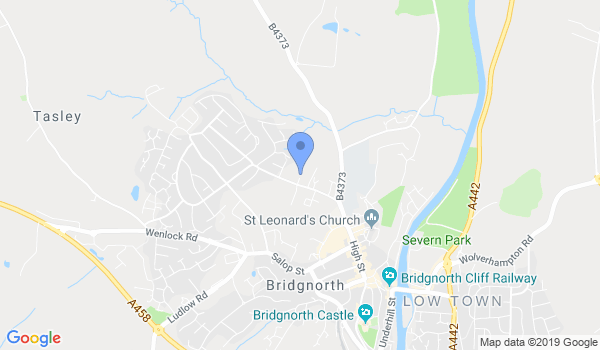 View a list of Dojo in Bridgnorth, or enter your address below to find schools closest to you.